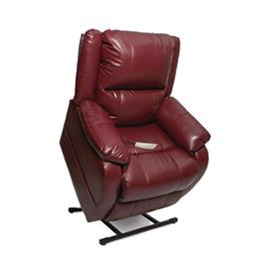 WIRELESS REMOTE* Performs lifted, seated, TV and full recline functions. Optimum range up to 4 feet with continuous operation up to 15 ft., designed to be used by the occupant of the lift chair. Distance Required From Wall 18"